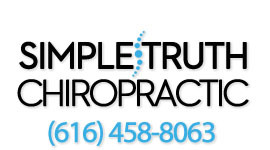 At Simple Truth Chiropractic, we have helped guide thousands of women through pregnancy with specific, gentle corrections to assist the process from conception to delivery. We are certified pediatric and pregnancy specialists that receive referrals from many OB/GYN's and midwives in the area. During pregnancy there are a lot of things that can arise that chiropractic can help with. We like to utilize chiropractic during pregnancy first and foremost to allow the body to function, self regulate and heal like it was designed to. This allows coordination of all the different processes in the body to function much easier. We also see many women that come in with many different conditions like lower back pain, sciatica, trouble breathing, pelvic pain, pubic pain, swollen ankles, difficulty standing or walking and many other things. If you're wondering why you should see us during your pregnancy, continue reading below. You're also more than welcome to send us an e-mail about what's going on and one of our doctors will respond within 24-48 hours. A person’s spine is made of 24 moveable bones called vertebrae, plus the sacrum (tailbone), pelvis, and skull. From the brain, nerve impulses travel down the spinal cord, branch out into nerves, and exit between the vertebrae. When the vertebrae become misaligned or unable to move properly a condition called vertebral subluxation, it irritates and interferes with the nerves. The message from the brain is slowed down and the life-energy carried by the nerve is unable to reach the organs and tissues at full potential. A doctor of chiropractic aligns the vertebrae and pelvis through gentle adjustments to the spine, relieving the pressure on the nerves and allowing the full nerve energy to reach the tissues it serves. As you gain weight, especially in the abdomen, this exerts a downward, forward pull on the lower spine. This extra weight combined with changes in your gait and centre of gravity can set the stage for backache and neck pain. Additionally, as labour approaches, your body secretes a hormone called relaxin, which loosens ligaments. This may exaggerate the effects of an existing spinal or pelvis problem. The positioning of the baby and its movement as well as expansion of the lower part of the ribcage to accommodate your growing baby can also cause discomfort in the ribs and upper portion of the lower back. Additionally, your increasing breast size in preparation for lactation can create upper back subluxations. According to recent studies, chiropractic care may result in easier pregnancy including increased comfort during the third trimester and delivery and reduced need for analgesics (pain medication). In one study, women receiving chiropractic care through their first pregnancy had 24% reduction in labour times and subjects giving birth for the second or third time reported 39% reduction in shorter labour times. In another study, the need for analgesics was reduced by 50% in the patients who received adjustments. In addition, 84% of women report relief of back pain during pregnancy with chiropractic care. When women receive chiropractic care throughout pregnancy, the sacroiliac joints of the pelvis function better. As a result, there is significantly less likelihood of back labour (contractions and sharp pain felt in the lower back during labour). Chiropractic care has helped new mothers become more comfortable breastfeeding (posture-wise) as well as to produce more milk. Chiropractic care has also been shown to reduce the likelihood of postpartum depression. As your pregnancy advances, some chiropractic techniques will need to be modified for your comfort. Your chiropractor is aware of this and will make the necessary changes. In particular, special pregnancy pillows and tables with dropaway pelvic pieces are used to accommodate your growing belly. A chiropractor trained in the techniques that address uterine constraint or mal-presentations will check for misalignment of the pelvic bones, misalignment of the sacrum and vertebrae, and spasm of the ligaments that support the uterus and help hold the pelvis together. Body position during delivery is also critical. Any late second stage labour position that denies postural sacral rotation denies the mother and the baby critical pelvic outlet diameter and moves the tip of the sacrum up to four centimetres into the pelvic outlet. In other words, the popular semi-recumbent position that places the labouring woman on her back onto the apex of the sacrum closes off the vital space needed for the baby to get through the pelvic outlet. This delivery position is the main reason why so many births are traumatic, labour is stalled, the mom becomes fatigued and overwhelmed by pain, so the utilization of epidurals, forceps, episiotomies, vacuum extraction, and caesarean increases. This is why squatting is the preferred position—gravity works to help and the pelvic outlet can open to a greater degree. Squatting during delivery results in decreased use of forceps and a shorter second stage of labour than the semi-recumbent position! Moreover, research has shown that coached pushing in the second stage of labour does not improve the short-term outcome for mothers or babies, except when the baby needs to be keep “baby blues” at bay, regain their energy and lose the weight they gained during pregnancy.